How much more are tenants willing to pay for on-site amenities in Austin, Texas? Landlords leverage amenities to provide value to tenants, and in turn achieve higher rental rates. But how much more are tenants actually willing to pay for added amenities? AQUILA recently did some analysis on Austin’s Southwest submarket to answer this question. To start, we chose a set of fourteen office projects in the Southwest submarket and broke them into two groups based on the amenities offered: “comprehensive” and “basic.” The buildings cumulatively offered 10 different amenities, including fitness centers, lockers, showers, building conference rooms, cafés, food trucks, walking trails nearby, outdoor patio/seating, basketball courts and volleyball courts. Buildings in the “basic” set have three or less of these amenities and those in the “comprehensive” set have four or more. Next, we pulled lease comparables for deals done over the last year in each building – yielding 60 lease comps totaling almost 500,000 sf. 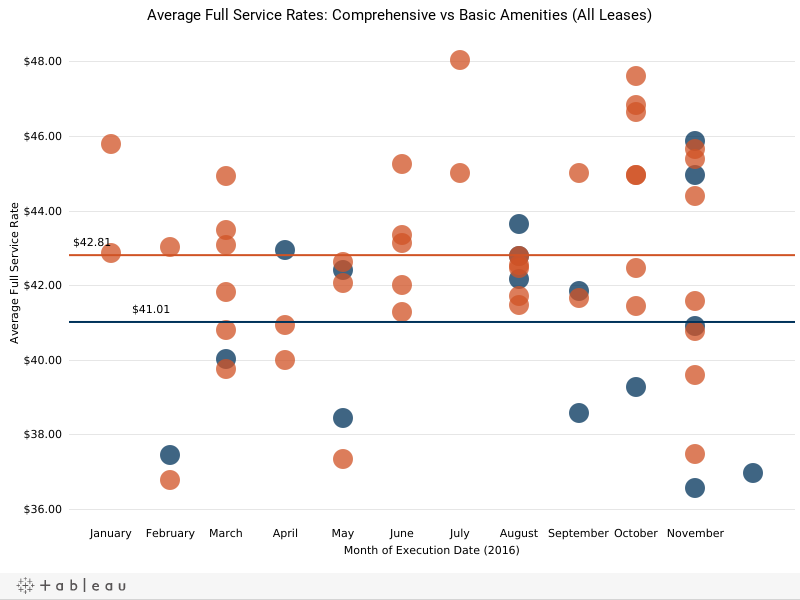 We calculated the average full service rental rate, then averaged that value for each set. We found that, on average, tenants were willing to pay an additional $1.80 per square foot per year for a comprehensive set of amenities than those who signed a lease in a building with a basic set of amenities. 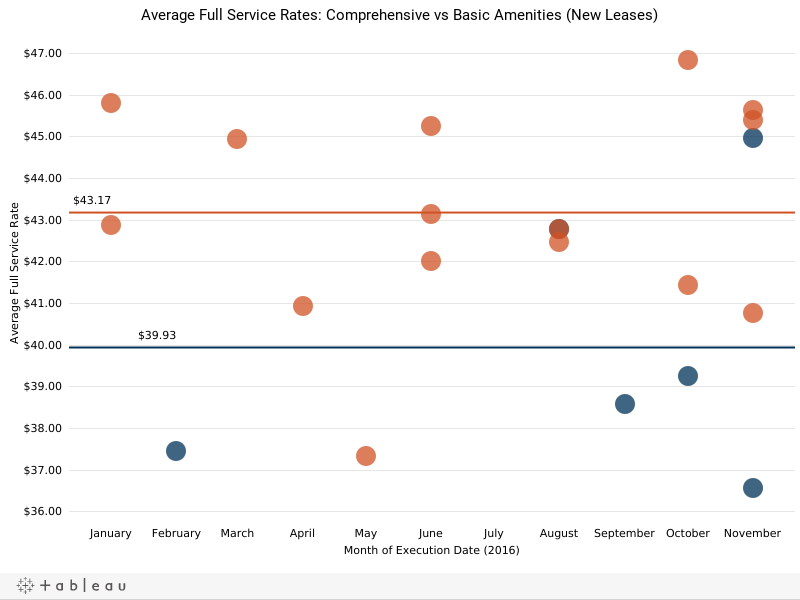 This finding surprised us and seemed low, so we decided to look at the data another way – this time only looking at new leases (excluding renewals, expansions and subleases). When only looking at new leases signed, that difference increases to an impressive $3.24/sf/yr. This proves that tenants value the additional on-site amenities these buildings have to offer when relocating within or moving to the Southwest submarket. If you were to multiply these differences across an entire 500,000 sf office complex, building owners may find that the cost of implementing one or more of these amenities may very well be covered by the additional rent tenants are willing to pay for them. 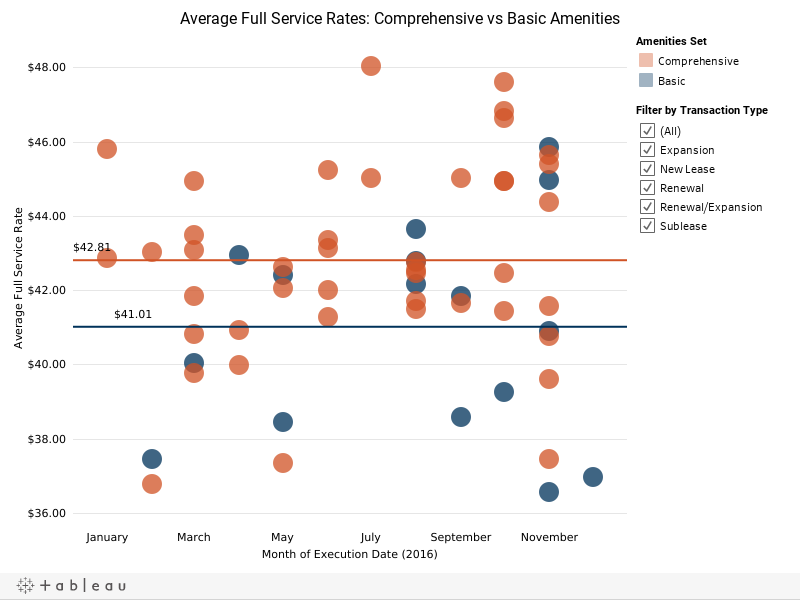 Interact with our analysis below to see how the difference between average full service rental rate differs amongst different transaction types and hover over the marks to see which amenities tenants paid most for. Dive deeper into this topic in our free whitepaper Do Austin Office Buildings with More Amenities Capture Higher Rental Rates? How does LEED certification impact Austin office rental rates? What are commercial property taxes in Austin, Texas? 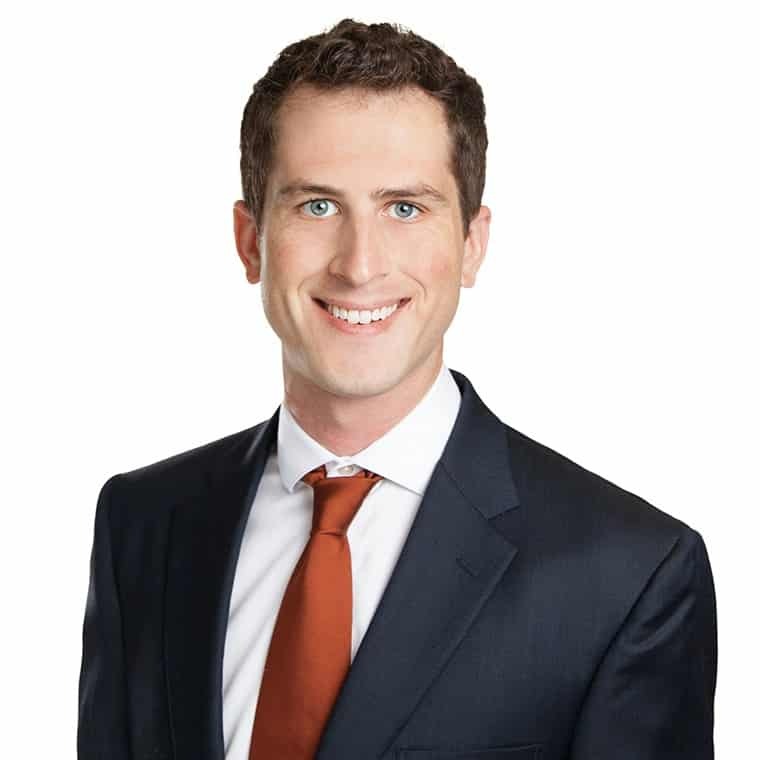 Clay served as a Market Research Coordinator for AQUILA from 2015 to 2017, powering our market research department and keeping our clients with up-to-date market intelligence and in-depth analysis. Investing in Austin, Texas Commercial Real Estate: Is It Too Late?